Capital of the only state which was once its own country, Austin’s unique culture has a lot of uniquely Jewish and uniquely Texan attractions. Kosher HEB (7025 Village Center Drive): Nestled in the heart of the Jewish Community in beautiful Far West Hills, the Texas-famous HEB brand has a Glatt Kosher Deli and food section, which is Fleisch and Chabad of Austin Supervised. I recommend coming on a Thursday and getting their daily special of Fajitas. Or, if you can’t come then, get the California burger. Madras Indian Pavilion (9025 Research Blvd # 100): Milk/Vegetarian, and under the Va’ad HaKashrus of Dallas, Madras is unique because it is the only place in Austin where you can enjoy a meal surrounded by two extremes: Orthodox Jews and Religious Hindu Indians. Come for the lunch buffet and try the Sag Paneer (spinach and cottage cheese). As an added bonus, the best part of coming to Madras is seeing the eclectic mix of religious Jews and religious Indians dine together! Randal’s Kosher Bakery (5311 Balcones): This Randal’s has a Kosher Bakery, where you can get cakes, cookies and fresh Challah. No sit down option, but I recommend trying out their pastries. Austinuts (2900 W. Anderson Lane): Austinuts is a staple to the locals. Owned by Israelis, it carries Kosher nuts, chocolates, candies, and specialty baskets. Pick up some chocolate covered cherries either as a treat or as souvenirs. Austin City Limits: Austin is known as the Live Music Capital of the World, and with good reason. Every Fall, Austin holds one of the largest 3-day music festivals, attracting hundreds of bands and thousands of people. Past acts include Dave Matthews Band, Bob Dylan, Matisyahu, and The Yeah Yeah Yeahs. 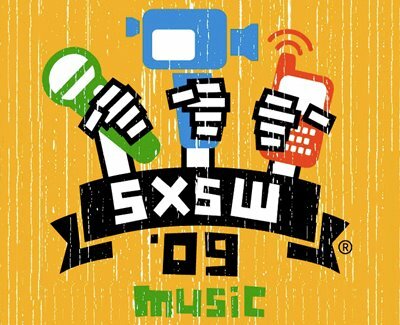 SXSW: The week long festival celebrating Music, Film and Interactive takes place during Spring Break every year. What makes “South By” (as it’s referred to by those in the know) so unique is that as opposed to being localized to one central location, this festival literally takes over the entire city. Different venues all over town host public and private events, featuring media icons such as Perez Hilton, Kanye West, and the folks from CollegeHumor. Bats Under Congress Bridge: During the summer time, around nightfall, 1.5 million bats making their migration trip can be seen underneath the Congress Bridge. This is a major Austin activity is a must-see, and is completely safe. The University of Texas at Austin Campus: Everything truly is bigger in Texas, as proven by its state University. Spanning 350 acres in the heart of downtown Austin, it is home to 49,000 students. Some notable sites include Jester, the world’s largest dormitory, which holds about 4,00 students, The Harry Ransom Center, which houses an authentic Gutenberg Bible, McCombs School of Business, The Student Union, The Blanton (art museum), and the Turtle Pond. Texas State History Museum (1800 Congrees Ave): The Texas State History Museum and IMAX Theatre are right across from UT Campus. Enjoy the 3-story tour of Texas’s history, and understand where the “Lone Star” and “Six Flags” come from. Texas State Capital (112 East 11th St) : Known as a “little blue dot in a sea of red,” Austin is also the home of the Capital building and the most liberal politics in Texas. Take a tour of the beautiful congressional building, and you may see students and lobbyists on your way. Zilker Park and Barton Springs (2201 Barton Springs Road): This beautiful 351 acre park is perfect for a day out with the family, and hosts the iconic Austin Trail of Lights, ACL, and the Zilker Kite Festival. Right next to Zilker is Barton Springs, which is a beautiful all-natural spring (and Mikvah). Mt. Bonnel (3800 Mt. Bonnell Dr): The highest point in Austin, at 775 feet, provides an easy hike for nature lovers. Atop, there is a view of downtown and Lake Austin. 6th Street / Downtown: The hub of Austin’s wild nightlife, 6th street is notorious for its clubs, bars and restaurants. A good evening would consist of a comedy show of topical humor Esther’s Folleys (beware of Kol Isha, though), followed by gallivanting around Dizzy Rooster (the hot spot for Real World: Austin-ers), Thirsty Nickel, and Stubbs (where Matisyahu got his start!). Dell Jewish Community Center (7300 Hart Lane): This campus is home to many of the Jewish communities in Austin. It houses Tiferet (Orthodox), Agudas (Conservative), and Beth Shalom (Reform). It also hosts the Austin Jewish Academy, a gym, Sunday School, and a gift shop. Chabad of Austin: Chabad has two locations in order to best serve Austin’s two budding communities. In Far West Hills (7010 Village Center Dr), right next to the Dell Jewish Community Center and across from the Kosher HEB, Chabad has a community center and Beis Menachem Hebrew Academy. Chabad on campus (2101 Nueces Street) has Shabbos dinners, weekly Jewish programming, and just remolded their beautiful student center. Texas Hillel (2105 San Antonio): Texas Hillel‘s recently remodeled facilities allow students the comfort and atmosphere to hang out, do homework, or conduct meetings. Their Kosher kitchens (one meat one milk) are used for special events, including Friday night meals. Also, the libraries and student resource room allow for both quiet and lively atmospheres suitable for studying as well as socializing. Hope you enjoy your trip to Austin! For more information, visit Austin360, and don’t hesitate to ask me any questions at @RebeccaWeiser.